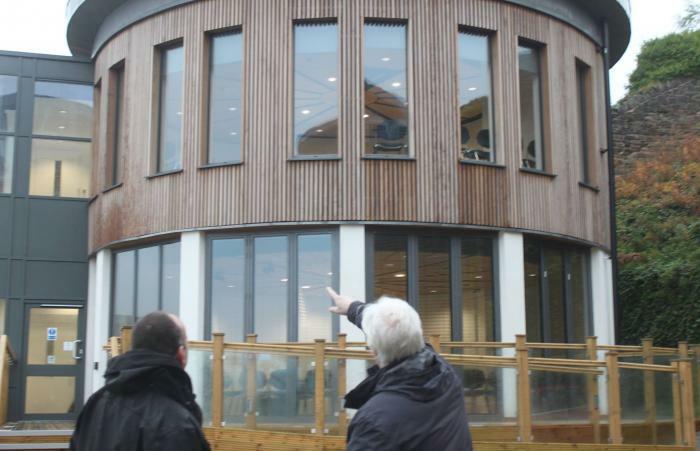 Copeland Council’s planning department, including officers and the decision-making councillors, spent a day visiting developments that have been completed over the past 12 months. The annual Quality Review gave the party the opportunity to assess first-hand the outcome of their key planning decisions, and the range of developments assessed included Whitehaven Foyer, The Beacon Portal, Rosehill Theatre, Story Homes’ Edgehill Park in Whitehaven, and Hensingham Business Park. Councillor Mike McVeigh, Chair of the Planning Panel, said: “It was a great chance for Copeland councillors and officers from the Council’s Planning Development team to review the new developments. Nick Hayhurst, Copeland’s Planning Development Manager, said: “The Quality Review is an annual event which forms a key part in the process of monitoring the quality of planning decisions by visiting developments to see how they have turned out.